Britain has had an influence on the world that far outweighs its size. With its rich history, beautiful landscapes and creative people, Britain is without doubt one of the greatest places in the world. 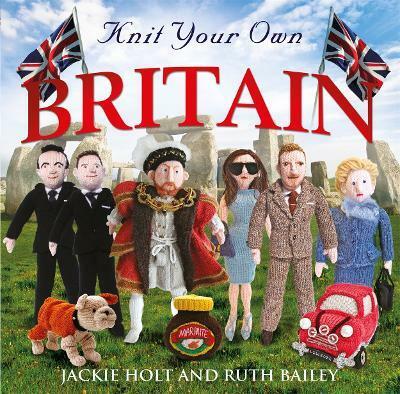 And in Knit Your Own Britain, you can now create your own miniature woolly version! Knit Your Own Britain is a unique and beautiful collection of some of the finest British icons, from The Beatles and James Bond to Robin Hood and Henry VIII, and includes contemporary figures like David and Victoria Beckham and Ant & Dec.
Fun, fascinating and fantastic, Knit Your Own Britain is a woolly celebration of some of the best of British.